Minister for Housing, Planning, Local Government and Community Simon Coveney, T.D. performed the official turning of the sod today (Monday) at Janeville, a new housing development worth €300 million in Carrigaline, Co. Cork. 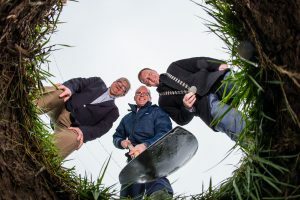 Housing Minister Simon Coveney turns the sod at the Janeville Development of 800 Homes in Carrigaline, pictured with Stephen McCarthy (left) of Astra Construction Services and Mayor of the County of Cork.